Hindustan Automation Solutions, Chennai, India (ISO 9001: 2008, JAS-ANZ & IAF Accredited) based leading company engaged in supplying of electrical and automation systems for various industrial segments. Hindustan Automation Solutions has always been a customer oriented firm which makes sincere efforts to manufacture and supply latest and useful software and hardware for its valuable clientele across India. Today's world revolves around high technology & most companies have invested substantially in automated plants. For this reason most manufacturing companies are looking for competent engineers with basic aptitude towards automation and ability to work on varied brands of PLCs, Drives, DCS MMI and SCADA. High levels of technical skills are required to keep it going in operations & maintenance. This prompted us to enter in this business domain. We have been conducting training on various industrial automation tools such as PLC,SCADA,MMI/HMI,DCS for college students , fresher’s and industry professionals every month. We also provide tailor made training for specific areas of technology. In building wiring, multiway switching is the interconnection of two or more electrical switches to control an electrical load (often, but not always, lighting) from more than one location. For example, this allows lighting in a hallway, stairwell, or large room to be controlled from multiple locations. While a "normal" light switchneeds to be only a single pole, single throw (SPST) switch, multiway switching requires the use of switches that have one or more additional contacts and two or more wires must be run between the switches. When the load is controlled from only two points, single pole, double throw (SPDT) switches are used. Double pole, double throw (DPDT) switches allow control from three or more locations. In alternative designs, low-voltage relay or electronic controls can be used to switch electrical loads, sometimes without the extra power wires. This article follows American usage. Readers in the most other countries should read "two-way" or "SPDT" for the American "three-way" and "intermediate", "crossover" or "DPDT" switch for the American "four-way". The controlled load is often a lamp, but multiway switching is used to control other electrical loads, such as an electrical outlet, fans, pumps, heaters, or other appliances. The electrical load may be permanently hard-wired, or plugged into a switched receptacle. Three-way and four-way switches make it possible to control a light from multiple locations, such as the top and bottom of a stairway, either end of a long hallway, or multiple doorways into a large room. These switches appear externally similar to single pole, single throw (SPST) switches, but have extra connections which allow a circuit to be controlled from multiple locations. Toggling the switch disconnects one "traveler" terminal and connects the other. Electrically, a typical "3-way" switch is a single pole, double throw (SPDT) switch. By correctly connecting two of these switches together, toggling either switch changes the state of the load from off to on, or on to off. The switches may be arranged so that they are in the same orientation for off, and contrasting orientations for on. A "4-way" (intermediate) switch is a purpose built double pole, double throw (DPDT) switch, internally wired in manufacture to reverse the connections between the input and output and having only four external terminals. This switch has two pairs of "traveler" terminals that it connects either straight through, or crossed over (transposed, or swapped). An intermediate switch can, however, be implemented by adding appropriate external wiring to an ordinary (six terminal) DPDT switch, or by using a separate DPDT relay. By connecting one or more 4-way (intermediate) switches in-line, with 3-way switches at either end, the load can be controlled from three or more locations. Toggling any switch changes the state of the load from off to on, or from on to off. PLC Training in Chennai, SCADA training in Chennai, DCS training in Chennai, industrial automation in Chennai, industrial automation in India, automation in India, PLC training center in Chennai"
A type of relay that can handle the high power required to directly control an electric motor or other loads is called acontactor. Solid-state relays control power circuits with no moving parts, instead using a semiconductor device to perform switching. 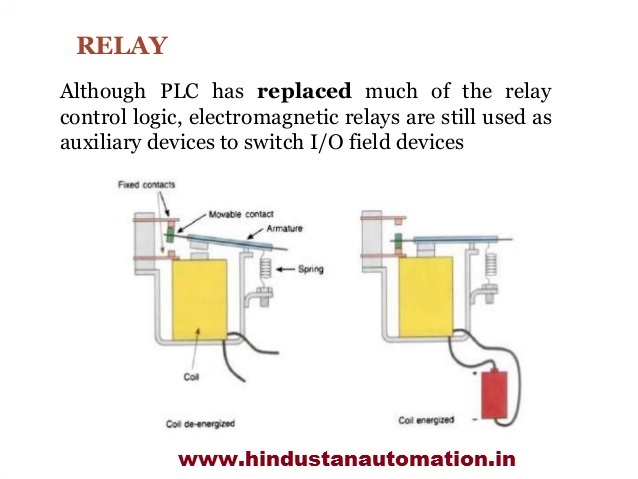 Relays with calibrated operating characteristics and sometimes multiple operating coils are used to protect electrical circuits from overload or faults; in modern electric power systems these functions are performed by digital instruments still called "protective relays". When an AC motor is in steady-state rotation (motion), the magnetic fields of the rotor and stator rotate (move) with little or no slippage (near synchrony). The magnetic forces (repulsive and attractive) between the rotor and stator poles create average torque, capable of driving a load at rated speed. The speed of the stator rotating magnetic field ( ) and the speed of the rotor rotating magnetic field ( ), relative to the speed of the mechanical shaft ( ), must maintain synchronism for average torque production by satisfying the synchronous speed relation (i.e., ). Otherwise, asynchronously rotating magnetic fields would produce pulsating or non-average torque. The two main types of AC motors are classified as induction and synchronous. The induction motor (or asynchronous motor) always relies on a small difference in speed between the stator rotating magnetic field and the rotor shaft speed called slip to induce rotor current in the rotor AC winding. As a result, the induction motor cannot produce torque near synchronous speed where induction (or slip) is irrelevant or ceases to exist. In contrast, thesynchronous motor does not rely on slip-induction for operation and uses either permanent magnets, salient poles (having projecting magnetic poles), or an independently excited rotor winding. The synchronous motor produces its rated torque at exactly synchronous speed. The brushless wound-rotor doubly fed synchronous motor system has an independently excited rotor winding that does not rely on the principles of slip-induction of current. The brushless wound-rotor doubly fed motor is a synchronous motor that can function exactly at the supply frequency or sub to super multiple of the supply frequency. 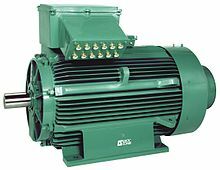 Other types of motors include eddy current motors, and also AC/DC mechanically commuted machines in which speed is dependent on voltage and winding connection. 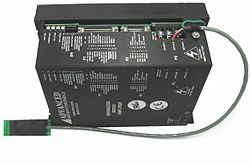 A servo drive receives a command signal from a control system, amplifies the signal, and transmits electric current to a servo motor in order to produce motion proportional to the command signal. Typically, the command signal represents a desired velocity, but can also represent a desired torque or position. A sensor attached to the servo motor reports the motor's actual status back to the servo drive. The servo drive then compares the actual motor status with the commanded motor status. It then alters the voltage frequency or pulse width to the motor so as to correct for any deviation from the commanded status. In a properly configured control system, the servo motor rotates at a velocity that very closely approximates the velocity signal being received by the servo drive from the control system. Several parameters, such as stiffness (also known as proportional gain), damping (also known as derivative gain), and feedback gain, can be adjusted to achieve this desired performance. The process of adjusting these parameters is called performance tuning. Servo systems can be used in CNC machining, factory automation, and robotics, among other uses. Their main advantage over traditional DC or AC motors is the addition of motor feedback. This feedback can be used to detect unwanted motion, or to ensure the accuracy of the commanded motion. The feedback is generally provided by an encoder of some sort. Servos, in constant speed changing use, have a better life cycle than typical AC wound motors. Servo motors can also act as a brake by shunting off generated electricity from the motor itself. 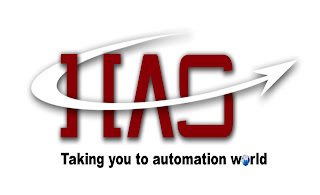 Leading industrial automation companies in India providing PLC SCADA DCS training in Chennai. Best PLC training center in Chennai. 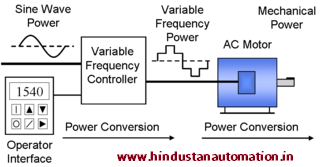 Automation in India"
A variable-frequency drive (VFD) (also termed adjustable-frequency drive, variable-speed drive,AC drive, micro drive or inverter drive) is a type of adjustable-speed drive used in electro-mechanical drive systems to control AC motor speed and torque by varying motor input frequencyand voltage. VFDs are used in applications ranging from small appliances to the largest of mine mill drives and compressors. However, around 25% of the world's electrical energy is consumed by electric motors in industrial applications, which are especially conducive for energy savings using VFDs in centrifugal load service and VFDs' global market penetration for all applications is still relatively small. That lack of penetration highlights significant energy efficiency improvement opportunities for retrofitted and new VFD installations. 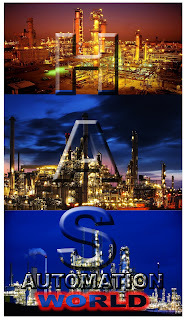 "PLC Training in Chennai, SCADA training in Chennai, DCS training in Chennai, industrial automation in Chennai, industrial automation in India, automation in India, PLC training center in Chennai"
Early SCADA system computing was done by large minicomputers. Common network services did not exist at the time SCADA was developed. Thus SCADA systems were independent systems with no connectivity to other systems. The communication protocols used were strictly proprietary at that time. The first-generation SCADA system redundancy was achieved using a back-up mainframe system connected to all the Remote Terminal Unit sites and was used in the event of failure of the primary mainframe system. Some first generation SCADA systems were developed as "turn key" operations that ran on minicomputers such as the series made by the Digital Equipment Corporation.. Similar to a distributed architecture, any complex SCADA can be reduced to simplest components and connected through communication protocols. In the case of a networked design, the system may be spread across more than one LAN network called aprocess control network (PCN) and separated geographically. 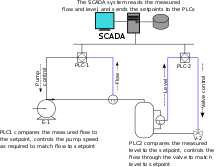 Several distributed architecture SCADAs running in parallel, with a single supervisor and historian, could be considered a network architecture. This allows for a more cost effective solution in very large scale systems. With the commercial availability of cloud computing, SCADA systems have increasingly adopted Internet of Things technology to significantly reduce infrastructure costs and increase ease of maintenance and integration. As a result, SCADA systems can now report state in near real-time and use the horizontal scale available in cloud environments to implement more complex control algorithms than are practically feasible to implement on traditional programmable logic controllers. Further, the use of open network protocols such asTLS inherent in the Internet of Things technology, provides a more readily comprehensible and manageable security boundary than the heterogeneous mix of proprietary network protocols typical of many decentralized SCADA implementations. One such example of this technology is an innovative approach to rainwater harvesting through the implementation of real time controls (RTC). A human–machine interface (HMI) is the input-output device through which the human operator controls the process, and which presents process data to a human operator. HMI (Human Machine interface) is usually linked to the SCADA system'sdatabases and software programs, to provide trending, diagnostic data, and management information such as scheduled maintenance procedures, logistic information, detailed schematics for a particular sensor or machine, and expert-system troubleshooting guides. An important part of most SCADA implementations is alarm handling. The system monitors whether certain alarm conditions are satisfied, to determine when an alarm event has occurred. Once an alarm event has been detected, one or more actions are taken (such as the activation of one or more alarm indicators, and perhaps the generation of email or text messages so that management or remote SCADA operators are informed). In many cases, a SCADA operator may have to acknowledge the alarm event; this may deactivate some alarm indicators, whereas other indicators remain active until the alarm conditions are cleared. Alarm conditions can be explicit—for example, an alarm point is a digital status point that has either the value NORMAL or ALARM that is calculated by a formula based on the values in other analogue and digital points—or implicit: the SCADA system might automatically monitor whether the value in an analogue point lies outside high and low- limit values associated with that point. Examples of alarm indicators include a siren, a pop-up box on a screen, or a coloured or flashing area on a screen (that might act in a similar way to the "fuel tank empty" light in a car); in each case, the role of the alarm indicator is to draw the operator's attention to the part of the system 'in alarm' so that appropriate action can be taken. In designing SCADA systems, care must be taken when a cascade of alarm events occurs in a short time, otherwise the underlying cause (which might not be the earliest event detected) may get lost in the noise. Unfortunately, when used as a noun, the word 'alarm' is used rather loosely in the industry; thus, depending on context it might mean an alarm point, an alarm indicator, or an alarm event. Infrastructure processes may be public or private, and include water treatment and distribution, wastewater collection and treatment,oil and gas pipelines, electrical power transmission and distribution, wind farms, civil defense siren systems, and large communication systems. The term SCADA (Supervisory Control and Data Acquisition) usually refers to centralized systems which monitor and control entire sites, or complexes of systems spread out over large areas (anything from an industrial plant to a nation). Most control actions are performed automatically by RTUs or by PLCs. Host control functions are usually restricted to basic overriding or supervisory level intervention. For example, a PLC may control the flow of cooling water through part of an industrial process, but the SCADA system may allow operators to change the set points for the flow, and enable alarm conditions, such as loss of flow and high temperature, to be displayed and recorded. The feedback control loop passes through the RTU or PLC, while the SCADA system monitors the overall performance of the loop. Data acquisition begins at the RTU or PLC level and includes meter readings and equipment status reports that are communicated to SCADA as required. Data is then compiled and formatted in such a way that a control room operator using the HMI can make supervisory decisions to adjust or override normal RTU (PLC) controls. Data may also be fed to a Historian, often built on a commodity Database Management System, to allow trending and other analytical auditing. SCADA systems typically implement a distributed database, commonly referred to as a tag database, which contains data elements called tags or points. A point represents a single input or output value monitored or controlled by the system. Points can be either "hard" or "soft". A hard point represents an actual input or output within the system, while a soft point results from logic and math operations applied to other points. (Most implementations conceptually remove the distinction by making every property a "soft" point expression, which may, in the simplest case, equal a single hard point.) Points are normally stored as value-timestamp pairs: a value, and the timestamp when it was recorded or calculated. A series of value-timestamp pairs gives the history of that point. It is also common to store additional metadata with tags, such as the path to a field device or PLC register, design time comments, and alarm information. SCADA systems are significantly important systems used in national infrastructures such as electric grids, water supplies and pipelines. However, SCADA systems may have security vulnerabilities, so the systems should be evaluated to identify risks and solutions implemented to mitigate those risks. Over the years the demand for high quality, greater efficiency and automated machines has increased in the industrial sector of water treatment plants. Water treatment plants require continuous monitoring and inspection at frequent intervals. There are possibilities of errors at measuring and various stages involved with human workers and also the lack of few features of microcontrollers. PLC applications are extensively used in industry to control and facilitate repetitive process such as furnace, bottle filling plants, elevator systems or nuclear plant shutdown systems. One of these applications in industrial automations which include numerous automated processes. This includes automation of water treatment plant using PLC. Controlling high pressure is critical task, so here automation plays vital role. There are many fields where pressure and water level control need to be done simultaneously. Thus it becomes tedious job to handle the product manually and also processing time may vary due to human handling errors. This might not give expected results. Thus automation plays an important role in this process. Automation rectifies the human errors, increase the repeatability and accuracy of the system and decrease time consumption. A. Boiling: It is one of the oldest methods known for purifying water. It can be used under most circumstances, even in emergency situations, with no special equipment needed. The heat will kill off any harmful bacteria. For this method to be effective, it’s recommended that the water be allowed to boil for at least three minutes. B. Distillation: Distilling water is another common purification method. It requires the use of a distilling tank. Water is placed in the bottom of the tank, where it is heated to its boiling point. The heat creates steam, which is collected in a separate portion of the tank, where it eventually condenses into liquid water again, without impurities. The water is then placed into a storage container until it is needed. C. Reverse Osmosis: It is a purification process that requires special equipment. The system consists of a two-part tank that is separated by a membrane. Untreated water enters the tank on one side and is forced through the membrane. The membrane allows clean water to filter through while holding back contaminants. The treated water enters the second half of the tank and then is collected and stored for consumption.D. Ultraviolet Light: In this method, water is placed in a clear container and then subjected to ultraviolet light, which destroys harmful organisms in the water. One of the drawbacks to this method is the power required to generate UV light. If insufficient UV light is applied to the water, it may not kill the organisms. The process depends on numerous factors, including the amount of water being purified, the initial condition of the water, and the size and intensity of the light.